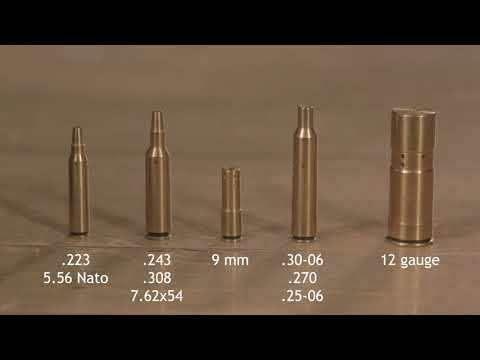 Improving on standard laser boresights on the market, Accudot .223/5.56 NATO Red Laser Boresights are the most efficient way to accurately sight-in your firearm and save ammo. Accudots add rechargeable, internal Lithium-Ion supercapacitor technology, allowing shooters to save money and time trying to find batteries. Auto-activation also helps save battery life and consumes power only when the boresight is chambered. Constructed of durable brass, Accudots feature a calibrated diode for increased accuracy and ability to get on paper with your first shot. Extremely easy to pack and travel, a USB dock provides on-the-go charging for when you find yourself shooting far from a convenient store. Accudot Red Laser Boresights include recharging dock, USB cable, wall adapter and carrying case.